Rudgley argues that it is Odin and not Jesus Christ who is the single most important spiritual influence in modern Western civilization. He analyzes the Odin archetype--first revealed by Carl Jung’s famous essay on Wotan--in the context of pagan religious history and explains the ancient idea of the Web--a cosmic field of energies that encompasses time, space, and the hidden potentials of humanity—the pagan equivalent to the Tao of Eastern tradition. The author examines the importance of the concept of wyrd, which corresponds to “fate” or “destiny,” exploring techniques to read destiny such as the Runes as well as the existence of yoga in prehistoric and pagan Europe, which later produced the Norse Utiseta, an ancient system of meditation. 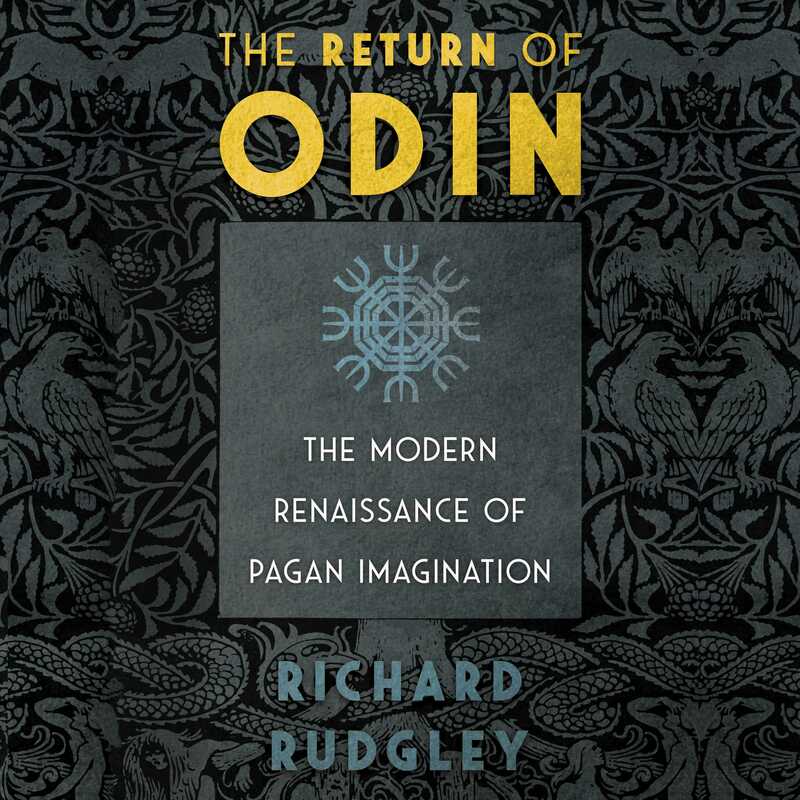 Examining pagan groups in Europe and America that use the Norse template, Rudgley reveals true paganism as holistic and intimately connected with the forces at work in the life of the planet. Showing how this “green” paganism can be beneficial for dealing with the adverse consequences of globalization and the ongoing ecological crisis, he explains how, when repressed, the Odin archetype is responsible for regressive tendencies and even mass-psychosis--a reflection of the unprecedented chaos of Ragnarok--but if embraced, the Odin archetype makes it possible for like-minded traditions to work together in the service of life. In 1936 Jung first wrote of his prophecies on the return of Odin when he published the essay Wotan. Odin was seen by Jung as an ancient god who had suddenly and inexplicably awoken from a thousand years of slumber “like an extinct volcano” and taken over the collective psyche of the German nation under the Nazi party, which was soon to lead them into a catastrophic war. That the old god of frenzy should arise in the very heart of Western civilization was all the more remarkable. The prophecies of Nostradamus may be obscure and open to many different interpretations but Jung’s own prophecy is a crystal-clear prediction concerning the future of Europe--that Odin would outlast the “thousand-year Reich.” In this respect Jung has been proved right. The following extract from a letter written by Jung poses vital questions concerning both the present and future states of European and American political, cultural, and spiritual life. Jung wrote the letter to his Chilean friend Miguel Serrano on September 14, 1960, in the winter of his life, a few months before Jung died in the summer of 1961. The true significance of this passage has been largely overlooked and here we set out to explore and understand its implications for the modern world.